Girls like Naho drive me crazy, and not in the good way. She’s so meek and timid that if she were your friend, you’d find yourself acting in an exaggerated manner just to compensate for her inaction. But then you feel bad for hating on the girl, because she’s just a kid. And I don’t honestly hate on her. She seems like a very nice and pleasant person. Not only that, I doubt most of us were very brave at her age, especially around people we liked. Still, it doesn’t make Naho any less frustrating to watch. In this week’s episode, Naho embarks on an arduous quest to put together and deliver Kakeru a bento box. According to the letter, she forgets to do it in the initial timeline, and this supposedly becomes one of her many life regrets. At first, the girl can’t decide if she wants to make him a lunch. What if he really was joking? What if he finds it strange and peculiar that she went out of her way to make him a lunch? Gosh, wouldn’t that be awkward? This is probably the conclusion Naho settled on in the original timeline, but thanks to that letter from the future, the girl goes down the road less traveled. Tomorrow comes, and Naho finds herself short on courage. Lunchtime rolls around, but she closes her eyes in fear, and her lips tremble at the thought of giving Kakeru the bento box. By the time she steels her nerves, the guy had already left the room. Once lunch is over, the girl feels as though she’s just missed her moment. It’s too late to give him the bento box now, she probably thinks. It just drives me mad seeing someone so shy and passive. I can relate, and at the same time, I can’t relate. I mean, it’s been so long since I was a teenager. It’s been so long since I’ve actually had such an innocent crush on anyone. Although I’ve been in Naho position before, memories of those anxious feelings have long since faded. My heart wants me to empathize with the girl, and truly, if she were just shy, I probably would feel that way. But there’s a moment later in the episode that really epitomizes why girls like Naho drive me crazy. When Kakeru notices that her bag is larger than usual, he offers to carry it for her. Afraid that he might discover the bento box, she jerks away from him in a fashion that makes it seem as though he’s offended her somehow. Oh my god, it is just a bento box! 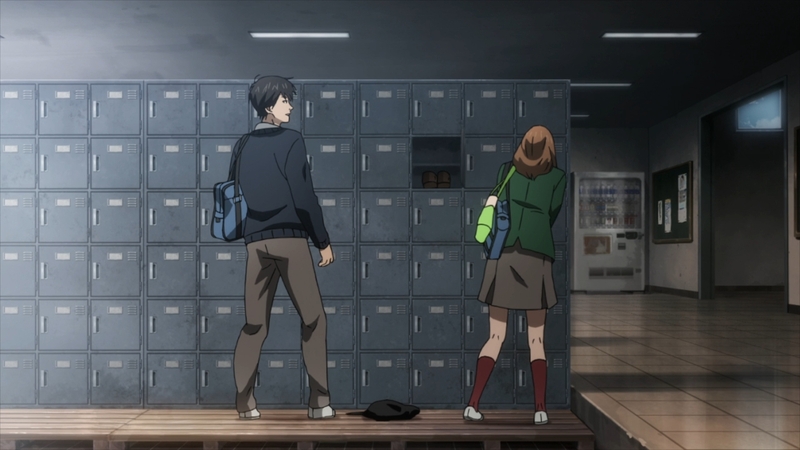 Eventually, Naho apologizes for her behavior, so Kakeru offers to walk home with her. Suwa is even nice enough to step aside, which only makes me wonder what the future Suwa had written in his letter. But we’ll worry about that later. On our couple’s idyllic walk, Kakeru even declares that he is hungry. Obviously, the young man needs a proper bento, wink wink. Still, the girl says nothing. It’s not that she doesn’t care. Obviously, she cares. Her cheeks are flushed. Her eyes are glued to the ground. Her posture is defensive and closed up, suggesting that she’s still bewildered and anxious by the moment. After all, she’s alone with the boy she likes. She’s unable to say anything. Kakeru is nevertheless undaunted. He wants to get to know her, so he asks about her likes and interests. What are her hobbies? What does she do when she’s not at school? The girl replies that she helps her mother make dinner. That’s not good enough for Kakeru, but honestly, it wouldn’t be good enough for most of us. So naturally, he presses on. He asks if she has any hobbies. Naho answers that she likes housework. Maybe Naho really does like housework, but she can’t only like housework, right? Girls like Naho just haven’t found themselves, and more importantly, they haven’t found their voice. But it’s okay, because she’s got her whole life to figure that stuff out. There’s a lot ahead of her. College. Finding a job. Becoming an adult. So yeah, on an intellectual level, I understand where the girl is coming from. By the way, the girl also happens to carry a sewing kit on her at all times. When Suwa loses a button, she eagerly sews it back on for him. Kakeru can’t help but comment that Naho is very motherly. I just wonder what this alternate future holds for the girl. Suppose she manages to save Kakeru’s soul. Then what? Does she marry him instead? Does she have a kid with him instead? Well, we’ll see, won’t we? Anyway, Kakeru eventually confesses that his mother had died. In fact, she died on his first day of school, which is what the letter had tried to warn Naho about. He didn’t miss two weeks of school because he wanted to play hooky. Naho suddenly gains a sense of urgency, so she finally pipes up about the bento box. She also regrets inviting him out that day, but the girl can’t be faulted. How was she supposed to know? As I previously mentioned in last week’s post. the letter itself wasn’t very convincing. If anything, I just find the whole scenario really peculiar. 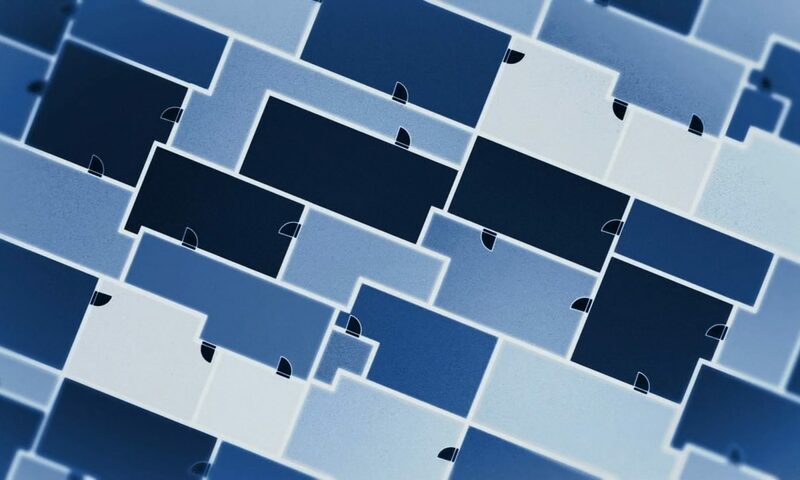 The letter provides much more details about all of the other regrets in Naho’s life. Why did it skimp out on the most important one? A woman’s life was at stake. When future Naho sent the letter, did she think it would work? Let’s assume she did. I would never write a letter to my past self, because I know it’s fruitless. I know I can’t actually send a letter back in time. 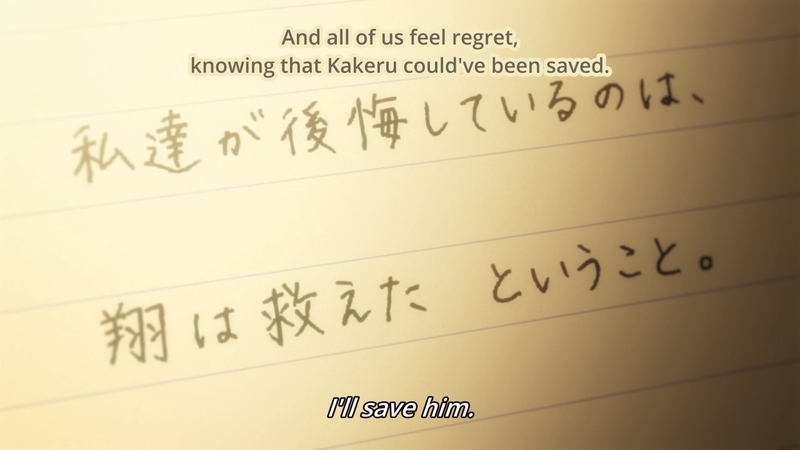 But if Naho knew that the letter would somehow reach her teenage self, then why didn’t she try harder to save Kakeru’s mother? Well, let look at the majority of the shoujos that get adapted. What do you often see? The object of the heroine’s affections is almost always someone that she needs to fix. The guy almost always needs her in his life, The guy almost always comes from a broken family, and he needs the heroine’s understanding and sympathy to break through his rough exterior. He only has a rough exterior as a defense mechanism, and only the shoujo truly understands him! In a way, these pretty boys can’t live without the shoujo heroine. Orange simply makes this realization come true. By the end of this week’s episode, Naho will have convinced herself that she needs to save Kakeru’s life. His fate rests solely in her hands. So I can’t help but imagine that Kakeru’s mother wasn’t saved, because it’s much more important for him to be in pain. There’s a certain way that these shoujo series operate. The goal is to save Kakeru’s life, and that can only happen if he is happy. But he can’t be happy too soon. Otherwise, we wouldn’t have much of a series. The story wouldn’t be as dramatic as it needs to be. I mean, just imagine the guilt on Kakeru’s shoulders. He wasn’t there for his mother’s final moments. He should’ve gone straight home like she wanted, but he didn’t. He probably thinks it’s his fault that she died. He’s going to need a lot of time to get over this trauma. It’s weird, though, because despite everything, ‘m still enjoying Orange. I just can’t help but feel that the troubled pretty boy trope is the shoujo’s counterpart to the women in refrigerators trope. On the surface, it certainly doesn’t appear to be as egregious by comparison. After all, no one’s cruelly mutilated in a ritualistic fashion in shoujo series. But I don’t know, something makes me uneasy about the way we inflict such a heavy amount of emotional pain on these pretty boys just to give these heroines a raison d’etre. The troubled pretty boy trope is even more problematic if you consider that in real life, grown-up women will engage in bad relationships in hope to fix broken men with the power of love. And this is not just a shoujo thing. Geez, I know a lot of smart women that loved so much 50 shades of gray and the troubled pretty mega rich man Christhian Grey. Is he abusive? Yes. His sexual advances are non consensual? Yes. Is he controlling the entire life of the protagonist? Hell, yes! But he is sooooooo charming. I think it´s important to point that Orange has a redeeming aspect in the whole thing of the pretty boy trope. Later is shown that Kakeru is having access to proper mental health care services, his family is worried about him, it´s not just the shoujo girl that worries about him and will be his girlfriend/psychologist. Having the support of your loved ones is a fundamental aspect of the therapeutic process, but no one should engage in a romantic relationship in order to be the full time psychologist of your partner. This is the recipe of a unhealthy love dynamic with unhappy people from both sides. Ps: I think the “Maniac Pixie Girl” (Ex: Kaori from Shigatsu wa Kimi no Uso) is a more proper female counterpart to the Troubled Pretty Boy trope. The Maniac Pixie Girl doesn´t exist for herself, she exists just to give color to the boring life of the male protagonist. She is usually not psychically harmed, it´s just that she doesn´t have a real life besides hanging out with the protagonist. The manic pixie girl isn’t often a damaged individual, which is the part that I find troublesome. I haven’t watched this episode yet but the thing that bugs me is that if future Naho wants things fixed why is she so round about in how she’s writing. A simple dot point list of these are the things that went wrong, change them, would be so much more helpful. I recently had a conversation with a friend of mine regarding what we saw as off about this show and what is acceptable for the shoujo romance genre. He thought the way everyone is so friendly with each other even when they grow up is the most distracting part. I thought the idea that grown-up Hiroto would be so accepting of teenage Naho not having married him in the future (which is sort of related to my friend’s problem) was a bit too unrealistic – even though I don’t think the two timelines actually affect each other. But at the end of the day, we’re not immune to this genre’s weird manipulation. I didn’t find the mother thing strange until you brought it up. Plus even with that realization, Orange is my favorite show of the season so far (my friend prefers Amanchu, being an Aria nut and all). I don’t think Suwa’s acceptance is that unrealistic. We don’t know what it took to get him to that point. He might have been fighting it up until the story began, but he realized he’d rather see her be happy than be married to someone full of regrets. Why can’t male characters be masculine and have the art style of Hokuto no Ken while female characters are moe?